In task manager pg_dump only one write to disk?? I have tried creating pgpass file but same issue. 15/03/2019 13:07:35|Info|Starting job “DB backup” - “Full”. Computer “WWDB”. App v."12.2.1"
15/03/2019 13:07:38|Debug|The maximum file size: ""
15/03/2019 18:25:06|Debug|Cancelling job "DB backup "
Thank you for the details, please give us some time to check this issue. 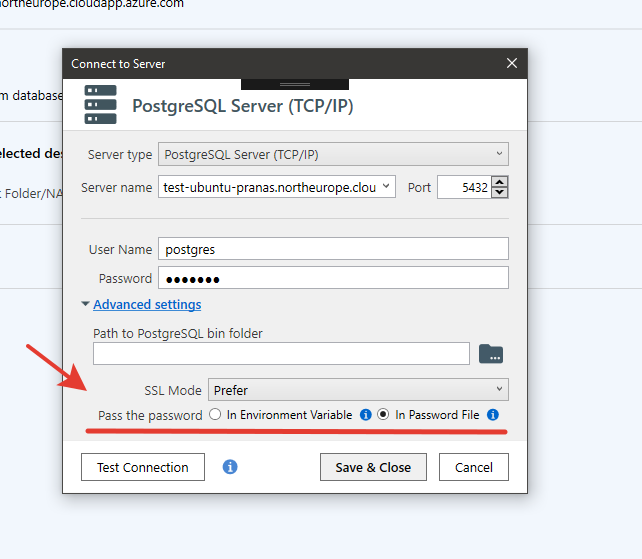 If you choose the option to pass the password through a file (In Password File), then SQLBakcupAndFTP will transfer the password through the pgpass.conf file. The software will add this file itself.